I’ve been traveling lately. Short trips here and there. Where I come from there is a belief that the way your first day of the year starts, it will be the way your year is going to unfold. And I don’t really believe in that, except that this year that really has been the way. On January 1st I drove with my family to San Diego for a short getaway to Legoland. Then I was back a week later in Anaheim for the Craft and Hobby Association Mega Show. Then a day trip to Sedona and Gerome. A hike to Usery Mountain on the outskirts of Phoenix. Busy I tell you. Off course in between all of this crafting finds its way. Hearts have been on my mind. I used a small cookie cutter to shape them up. 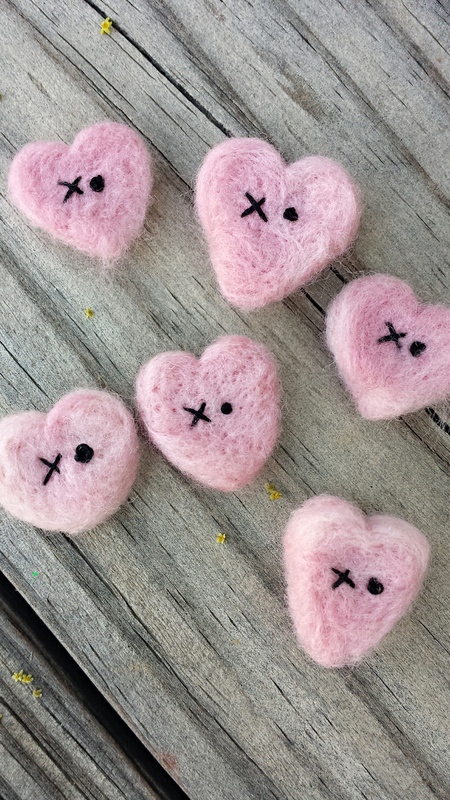 Pulled a little bit of wool roving, stuck it inside the cookie cutter shape, and poke poke poke……until it took a heart shape. I embroidered an X and O (cross stitch and a French knot). Stitched a backing using craft felt (the sheets you buy for .25 at the craft store) and added a pin. 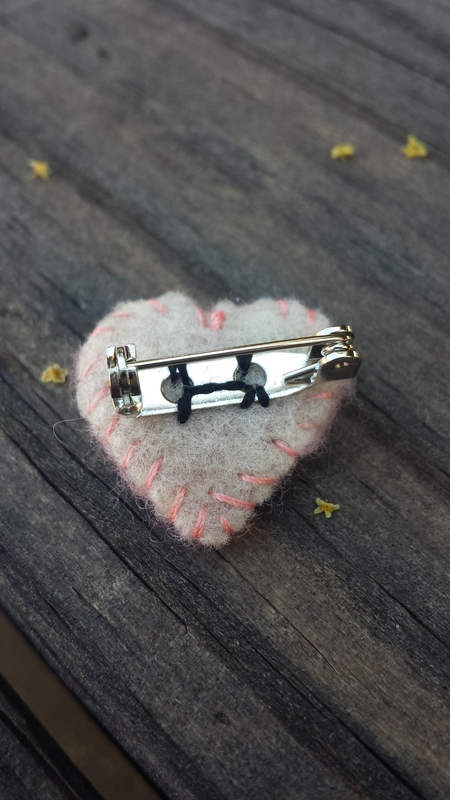 Perfect addition to any outfit on Valentine’s Day…or any day when you want to spread a little heart! !